2015 AOU Supplement is Out! Every summer, birders anxiously await publication of the “Check-list Supplement” by the American Ornithologists’ Union’s Committee on Classification and Nomenclature of North and Middle American Birds (NACC). The Supplement details revisions to its Check-list. Below is a brief rundown of those changes. (You can see the Supplement here.) Be sure to check out the ABA’s annual “Check-list Redux” in Birder’s Guide to Listing & Taxonomy (Oct. 2015). There, you’ll find photos, maps, and more detailed analysis of these changes. (You can also see last year’s Check-list Redux here.) Note that although the NACC does not use diacritical marks (and completely deletes some letters from Hawaiian bird names), such marks and letters are used here in order to facilitate communication and pronunciation. American Tree Sparrow is no longer in the genus Spizella. Read below to find out its new genus! Photo by Shanthanu Bhardwaj. As a general policy, the NACC accepts as additions to its North American Check-list any species the American Birding Association’s Checklist Committee (ABA CLC) adds to its list that are not already on its own Check-list (e.g., Egyptian Goose). You can read all the proposals on which the NACC voted this year by visiting its webpage. Species marked with asterisks (*) in the “U.S. and Canada” section are those which do not appear on the ABA Checklist, either because there are no currently accepted records in the ABA Area or because they are non-natives which have not yet been admitted to the list. Daggers (†) denote extinct species. When a split is discussed, the species that retains the scientific name of the “old” lumped species is listed first. These days, you can assume that any change in taxonomy is due (at least partly) to analysis of new genetic data, so that is not always mentioned below. CHANGES AFFECTING CANADA AND THE U.S.
Herald Petrel (sensu stricto) is no longer on the ABA Checklist. 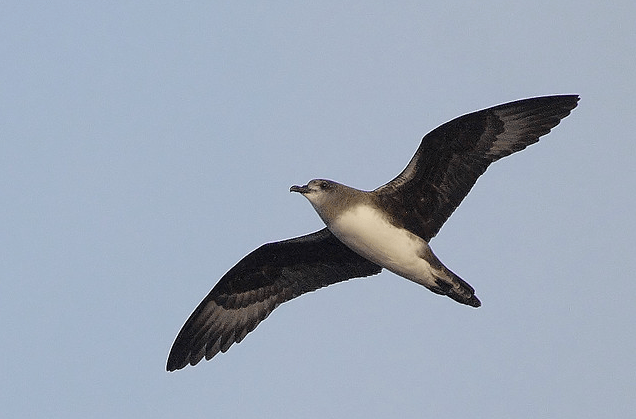 Pablo Caceres Contreras photographed this bird near Easter Island in the Pacific Ocean. Trindade Petrel is found in the Atlantic and Indian Oceans and nests on (among others) Brazil’s Trindade and Martim Vaz archipelago. Herald Petrel is a species of the Pacific Ocean, and although there are no accepted records for the ABA Area, there are records off Hawaii and the Pacific Coast of Mexico, so birders should be cognizant of this species during pelagics off southern California. Both species are quite variable in plumage, and the ability to ID a vagrant bird on the wrong ocean is probably beyond our current knowledge. “Trindade”, being of Brazilian Portuguese origin, is more-or-less pronounced as “tree-DAH-jee”. This poor photo is one of the few photos in existence of Townsend’s Shearwater (sensu stricto) away from the breeding grounds. 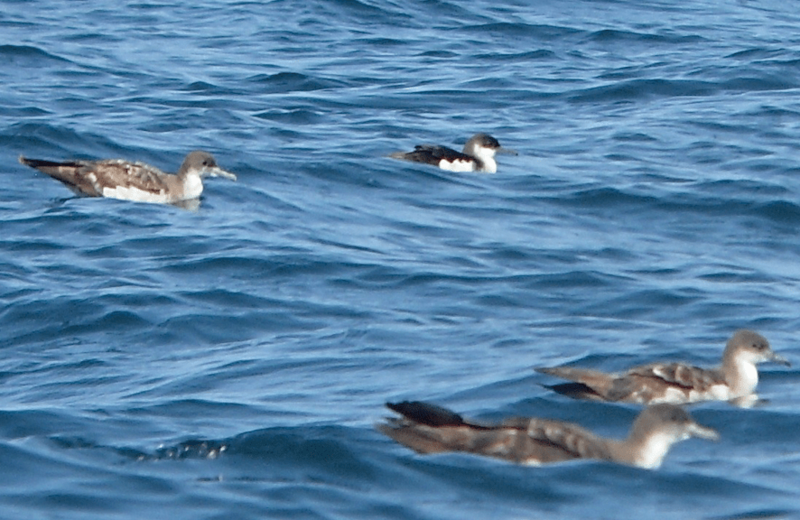 Here, one associates with three Wedge-tailed Shearwaters off Puerto Ángel, Oaxaca. Photo by Michael Retter. Townsend’s Shearwater (sensu stricto) nests only on Isla Socorro in Mexico’s Revillagigedo (ray-BEE-yah-hee-HEY-doh) Archipelago, in the Pacific Ocean. It has been extirpated from two historic breeding islands and is critically endangered due to human-introduced goats and rats. (You can read more about the situation and donate to help eliminate these invasive species here.) The species has no records in the ABA Area, but if number increase, warm waters off southern California—especially in El Niño years—would be a good place to look. Newell’s Shearwater is a Hawaiian-breeding endemic with one record from San Diego County, CA. Separation of the two species (and from Manx Shearwater) is often very difficult and beyond the scope of this post, but see the caption and excellent illustration by Ian Lewington on p. 147 of Steve N. G. Howell’s Petrels, Albatrosses, & Storm-Petrels of North America. This Brown Skua was photographed by off the South Shetland Islands. Photo by David Cook. This is rather obvious split was long overdue. 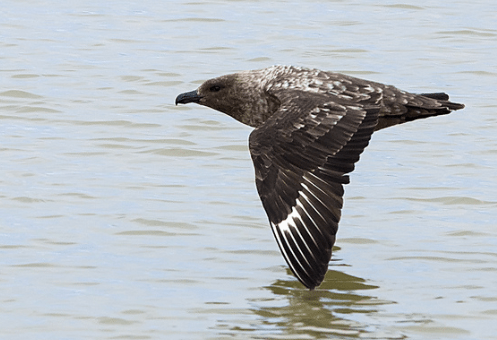 Great Skua is the only large skua breeding in the Northern Hemisphere. There are no accepted records of Brown in the ABA Area, but three birds widely speculated to have been this species have been documented in ABA Area waters (two in NC, one in NJ). In addition, two have been positively identified from the UK, proving that the species does venture north of the equator. See Birding, December 2000, p574 and this link for details. Identification of the two is tricky and beyond the scope of this post. The species’s scientific name has changed from Spizella arborea to Spizelloides arborea. 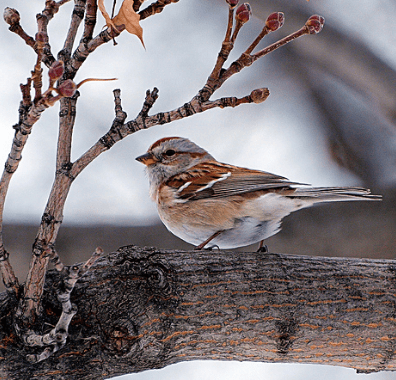 Genetic data show it to be not at all closely related to Spizella sparrows. Instead, it is related to a group containing Fox Sparrow, Zonotrichia sparrows, and juncos. 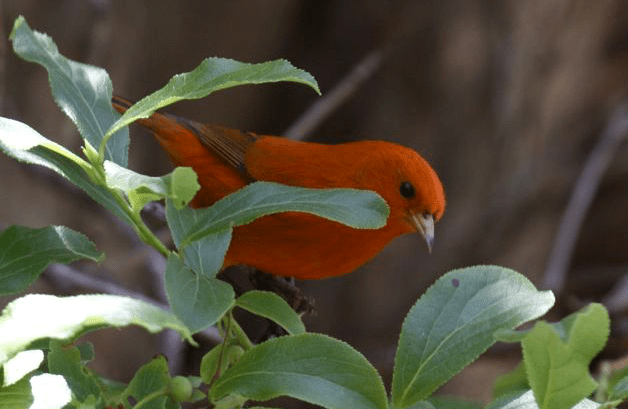 ‘I’iwi is now in the same genus as (the extinct) Black and Hawaii mamos. Photo by Michael Retter. Hawai’i ‘Akepa is the only ‘akepa species to have so far escaped extinction. Photo by Michael Retter. 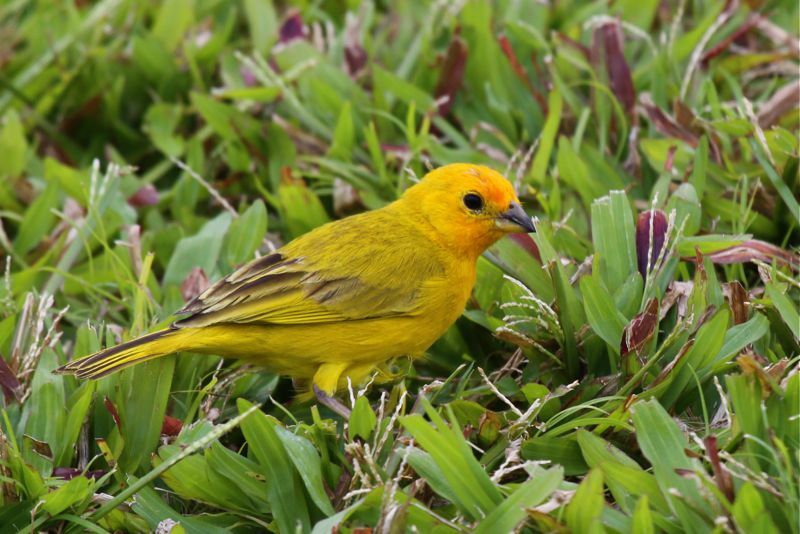 A grim reminder of the plight of Hawaii’s birdlife comes in the form of four splits. Nine of the eleven resulting species are extinct. In all cases, the names of the new species describe where they are found. Nukupu‘u† was split into three species: Kaua‘i Nukupu‘u*† (Hemignathus hanapepe), Maui Nukupu‘u*† (Hemignathus affinis), and O‘ahu Nukupu‘u*† (Hemignathus lucidus). 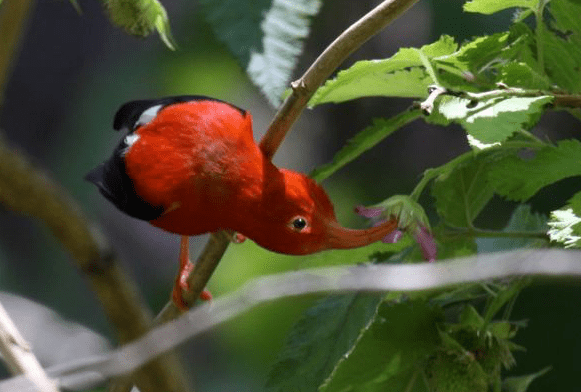 ‘Akepa was split into three species: O‘ahu ‘Akepa*† (Loxops wolstenholmei), Maui ‘Akepa*† (Loxops ochraceus), and Hawai‘i ‘Akepa* (Loxops coccineus ). 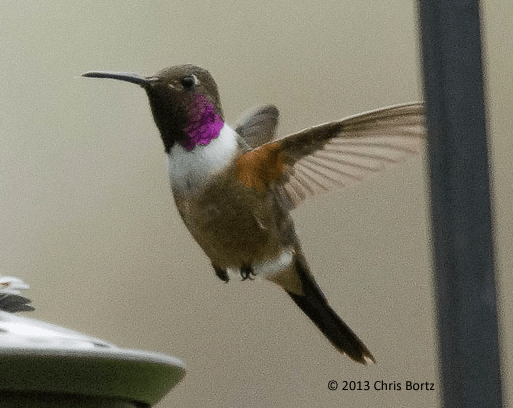 This Bahama Woodstar (sensu stricto) was photographed in Pennsylvania in April 2013 by Chris Bortz. This split was adopted on the basis of differences in sounds (vocal and mechanical), genetics, and morphology. ABA Area records of birds from this complex are thought to pertain to Bahama Woostar (sensu stricto). 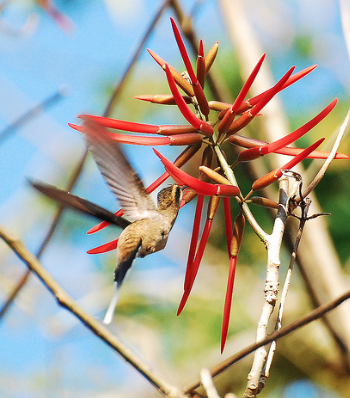 A proposal to name the two species “Bahama Sheartail” and “Inagua Sheartail” was not accepted for now, because the committee wants to wait until the entire hummingbird family undergoes a major overhaul of scientific and common names, based on a 2014 phylogeny that challenged much of the status quo, including ABA Area species like Anna’s and Costa’s, which seem to be nested within Selasphorus. White-tailed Hawk is no longer in the genus Buteo. Photo by Richard Crossley. White-tailed Hawk changes from Buteo albicaudatus to Geranoaetus albicaudatus. Genetic data show that it is not a Buteo, but rather, is more closely related to Black-chested Buzzard-Eagle* and Variable Hawk*. 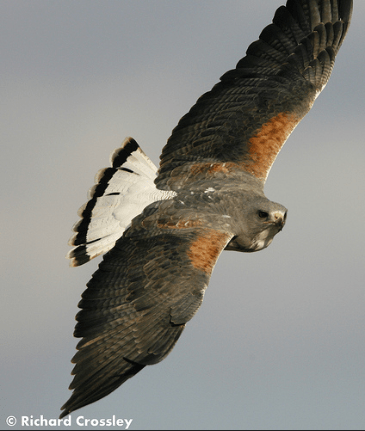 Speaking of which, Red-backed Hawk (Buteo polyosoma)—of which there is an unaccepted Colorado record—has changed to Variable Hawk (Geranoaetus polyosoma). Roadside Hawk changes from Buteo magnirostris to Rupornis magnirostris. We now believe that Laughing Falcons (here) are related to forest-falcons. Photo by Michael Retter. The caracara subfamily was absorbed into the “regular falcon” subfamily, Falconinae. Laughing Falcon* moved from that subfamily into the forest-falcon subfamily, which had to be renamed because of priority. 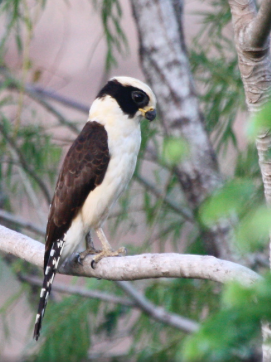 The subfamily containing forest-falcons and Laughing Falcon is now called Herpetotherinae. The genus Spindalis has joined that great taxonomial purgatory known as “Incertae sedis”. 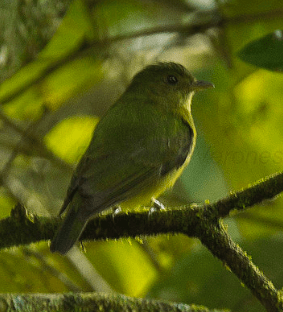 The spindalises appear immediately after the true tanagers in the sequence. 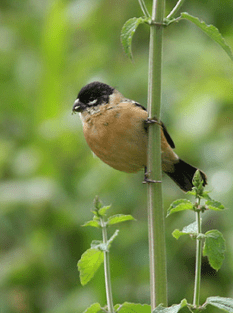 White-collared Seedeater is now the only regularly-occurring species of tanager found in the ABA Area. Photo by Amy McAndrews. 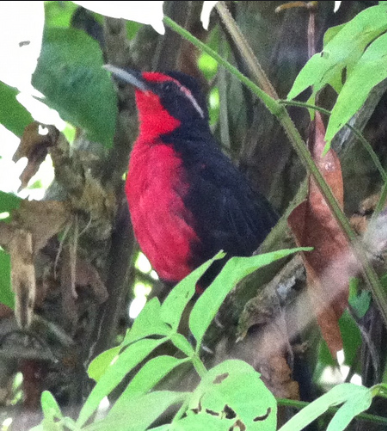 As long expected, the seedeaters, grassquits, and Bananaquit have been added to the tanager family. The new sequence of genera is as follows, and the following are the only species of true tanager now found in the U.S. and Canada. Psittacidae is no longer just “the parrot family”, but rather, the “African and New World parrot” family. Split from it was Psittaculidae, the newly-created “lory, lovebird, and Australasian parrot” family. Most parrot species found in North America belong to the former family, but Rose-ringed Parakeet (established populations in Hawaii and California) Rosy-faced Lovebird (established populations in Arizona), and Budgerigar (nearly extirpated population in Florida) are members of the latter. Each of those three species is in a different subfamily. Respectively, these are Psittaculinae (Australasian parrots), Agapornithinae (lovebirds and hanging-parrots), and Loriinae (lories). -Separation of Northern Harrier (Circus hudsonius) from Hen Harrier (C. cyaneus). -Separation of “Vizcaíno” Thrasher* (Toxostoma arenicola) from Le Conte’s Thrasher. -A two-way split of Painted Bunting. -A six-way split of Northern Cardinal. -Giving Hawaiian Creeper its own genus (Manucerthia). -A change in the English name of American Pipit (to Buff-bellied Pipit). -The universal adoption of American English spellings in bird names. This would have affected the spelling of birds like Sulphur-bellied Flycatcher and “Ochre” Oriole. This Mexican Hermit was photographed nectaring from an Erythrina tree at Rancho Dioon in Oaxaca. Photo by Jerry Oldenettel. The former species is widespread in Middle America, north to southeastern Mexico. The latter is endemic to southwestern Mexico and comprises two subspecies: griseoventer of Nayarit, Colima, and Jalisco (with roughly the same range as Mexican Woodnymph) and mexicanus of the Sierra Madre del Sur of Guerrero and Oaxaca. Differences in males’ lekking behavior (including song), genetics, and morphology led to this split. Compared to Long-billed, Mexican Hermit averages larger and duskier. Its flight call is more slurred and drawn-out, and the individual notes of its song are lower-pitched and flatter. Range is the best clue to ID, as the two species are allopatric. Differences in vocalizations, genetics, and behavior led to this split. Coiba Spinetail is endemic to Panama’s Isla Coiba, in the Pacific Ocean. Rusty-backed is found in South America, so this species drops off the Check-list. Green Manakin. Photo by Francesco Veronesi. Say goodbye to Xenopipo holochlora and hello to Cryptopipo holochlora. Genetic data indicate that Green Manakin’s closest relatives are members of the genus Lepidothrix—not Xenopipo. After taking into account the change above, the new sequence of manakins is as follows. Saffron Finch, one of the yellow-finches, is now considered a tanager. It was formerly placed with the emberizids. It has established populations in Panama and Hawaii. Photo by Michael Retter. The following boldfaced genera have been moved to the true tanager family, Thraupidae, with an updated sequence as listed. Many of these are from a mostly Caribbean radiation that includes Darwin’s famous Galápagos “finches”. The new sequence of tanager genera is as follows. Rosy Thrush-tanager (here, a male) is one of a number of odd Caribbean and Middle American species that may well constitute its own family. Photo by HarmonyonPlanetEarth. The following genera were formerly placed in Thraupidae, but are now moved to Incertae Sedis (place unknown) while their eventual placement is worked out. Moving them to this category recognizes that their previous placement was incorrect, without committing on a final resting place. 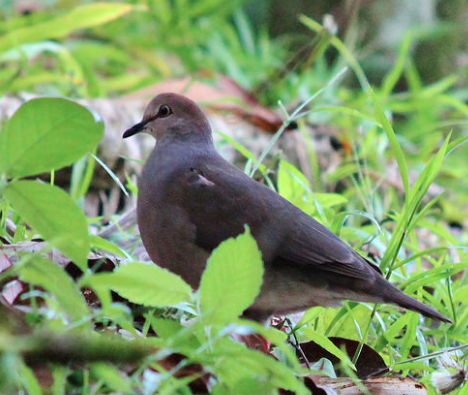 Gray-chested Dove has had a misspelling of its specific epithet corrected. Photo by Tom Benson. Gray-chested Dove changes from Leptotila cassini to Leptotila cassinii (double I at the end). Steely-vented Hummingbird changes from Amazilia saucerrottei to Amazilia saucerottei (one R).